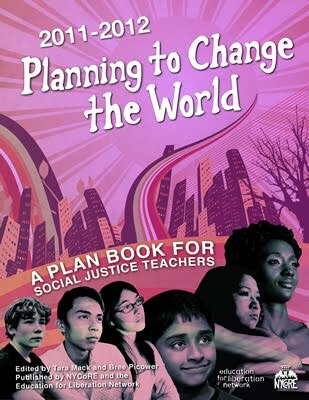 The following is a blog post that was shared by our brothers and sisters and compañer@s in the New York Collective of Radical Teachers (NYCORE). Here's a video with discussion with Tim Wise, Al Sharpton and others. New Rethinking Schools Issue and Resources! Every day, teachers are pressured to compete with each other and push their students over the testing precipice, all in the name of accountability-a word that has become corporate-speak for test, test, test. The spring issue of Rethinking Schools celebrates our two new books that focus on what teachers are really accountable for: the learning, empowerment, and well-being of their students. In "A Message from a Black Mom to Her Son," RS editor Dyan Watson uses examples from her own childhood to describe how she hopes her child will be treated by teachers, and what she fears. Elementary school teacher Mark Hansen takes us inside his classroom to watch him build on his students' lives and passions to help them create persuasive essays in "Writing for Justice: Persuasion from the Inside Out." In "Testing Our Limits," RS editor Melissa Bollow Tempel describes the impact on her classroom and herself when her 1st-grade students have to use the computers to take standardized tests. RS editor Wayne Au analyzes the impact of scripted curricula on teachers. He urges us to organize and fight back in "Playing Smart: Resisting the Script." And much, much more-including articles on Mexican American Studies in Tucson, teaching the Keystone XL Pipeline, and using wikis to teach English language learners.